We invite you to explore, celebrate, and learn more about the Penokee Hills and the Bad River Watershed of Northern Wisconsin. The Penokees are the weathered roots of ancient Alps-like mountains, rich in wetlands and clear, cold streams. The Bad River is born in these hills, and flows through the "Everglades of the North" (the Bad River and Kakagon sloughs) to Lake Superior. 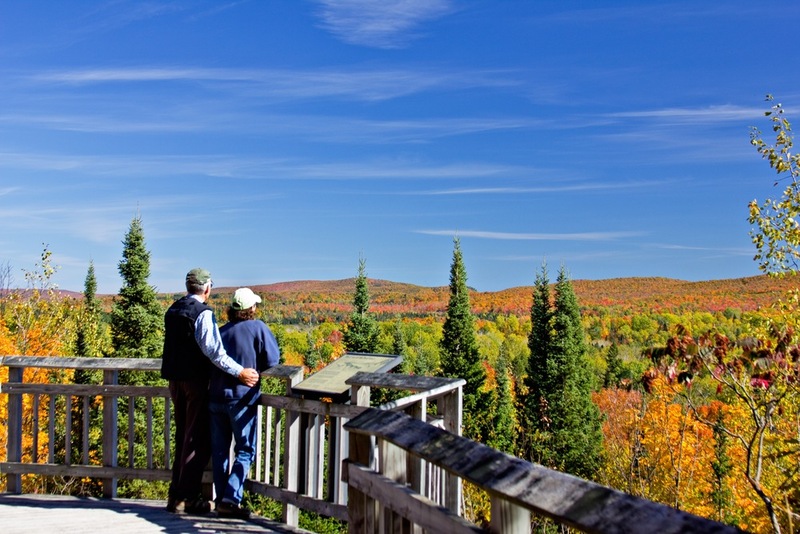 From the vistas on St. Peter's Dome, to the myriad swirling trout streams, to the wild shore of Lake Superior-- this is a beautiful, largely pristine and wild region we hope you'll fall in love with, as we have. Until recently the Penokees were the target of a mining company wanting to extract iron-ore. In March of 2015 they officially notified the Wisconsin DNR that they were withdrawing. Hooray! But the iron is still there - our goal now is to spread awareness of this beautiful, important region to protect it for future generations. The Tyler Forks swirls through Fall color. 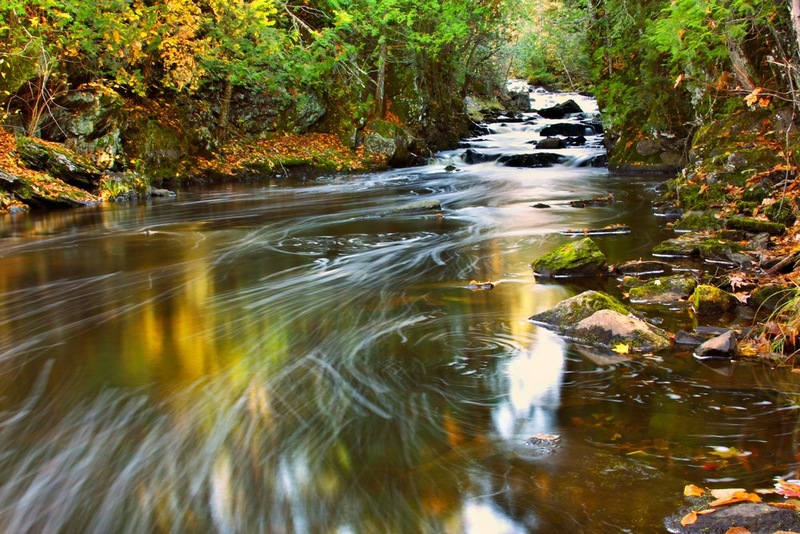 Publisher Sweetwater Visions introduces readers to one of North America’s least known wild treasures, the Penokee Hills of northern Wisconsin. With over 100 stunning images, photographer/author Joel Austin details the beauty of the Penokees--both intimate and grand, accessible and remote, rugged and extremely fragile. Discovering the Penokees includes essays and other information on the economic, public health, and environmental impact of open-pit mining on local communities including the Bad River Reservation, and on the watershed's rivers, forests, and associated wetlands (designated a “Wetland of International Importance” by the Ramsar Convention). The book also includes a map of the region and other references.